Aw dammit. It happens sometimes. As much as I try not to like certain hip hop or pop songs sometimes they're just so catchy you can't help but like them. That's exactly my feelings on GDFR. In general I don't like Flo Rida, he's done two or three tracks that I like but otherwise I don't rate him at all. But "G.D.F.R." is just such a catchy song. What can I say? I have a soft spot for saxophone solos when done correctly! "G.D.F.R." 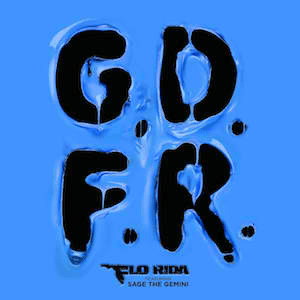 is just one of the catchiest hip hop songs in recent years, and credit to Flo Rida for that, he's pulled one out of the bag here. If you missed #84 go here.